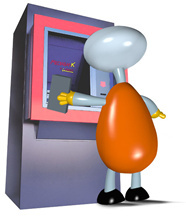 To return a film or CD, the customer has to insert his card in a Mediabank machine, select the item return and introduce the product in the returning slot. 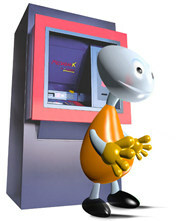 The machine receives the product and deductes the amount from the account balance. If the customer returns	more items registered in his charge, the machine indicates the sequence of the necessary operations, and verifies the correspondence between delivered and registered items. 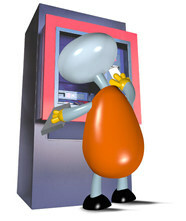 The operation ends with the return of the card to the customer.